I can build my knowledge by asking questions and seeking answers. I can create safe and secure passwords . I can reflect on what it’s like to multitask on a cellphone and consider the benefits of focusing on one task at a time. I can evaluate examples of online messages and decide what information is appropriate to share, and when. I can respond to cyberbullying scenarios and make choices to evolve into an upstander. I can choose effective keywords for searching online. I can give proper credit to the artists whose images and sound clips I use. Each week complete one module and then answer the question in the Padlet that goes along with that week. After you have played the game for each week, complete the corresponding question on the Padlet. Learn what components make a password secure. Identify ways they can create a memorable but secure password. Learn that cellphones are powerful, convenient tools for communication. Experience a simulation on cellphone multitasking and distraction. Reflect on the benefits of focusing on one task at a time. Learn about copyright, credit, and plagiarism and apply their knowledge to their own creative work. Reflect on the ethical importance of giving credit to others for their work. 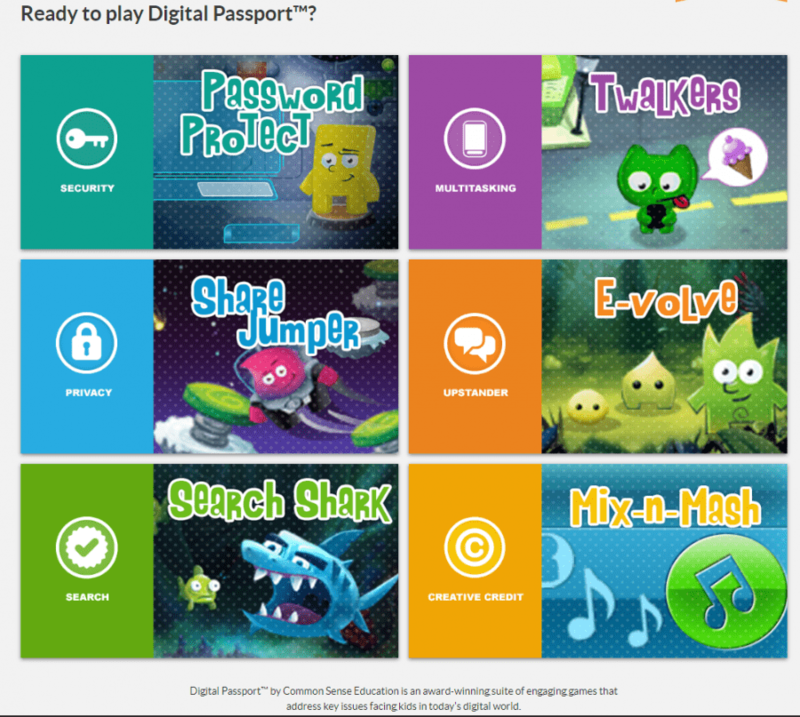 Determine how to receive credit for their digital creations. Learn how keywords can help them find information online. Evaluate keywords for their relevance and helpfulness. Practice identifying the most effective keywords for different search scenarios. Compare different forms of cyberbullying and the roles of those involved. Interpret scenarios that illustrate the importance of empathizing with targets of cyberbullying. Identify ways to be an upstander when cyberbullying occurs. Reflect on the benefits of sharing online, while acknowledging that information can spread fast and far. Classify information that should be kept private online. Predict the effect an online post or message might have on someone’s reputation.